Eric Carle’s, Very Hungry Caterpillar has found a new home at Good Beginnings Day Nursery in Woodstock, Ontario. This sixteen foot climbable sculpture is situated next to two pieces of eaten fruit that are ripe for climbing and play. 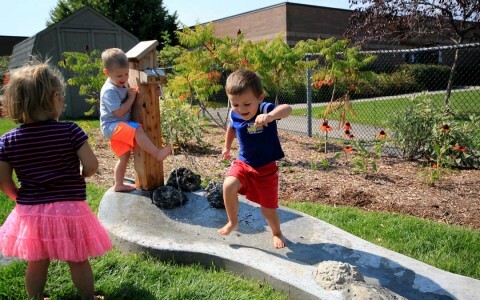 A long stream-like water feature attracts children to get their hands wet and dirty and explore the river, while a stage has been set for the next rendition of Little Red Riding Hood. 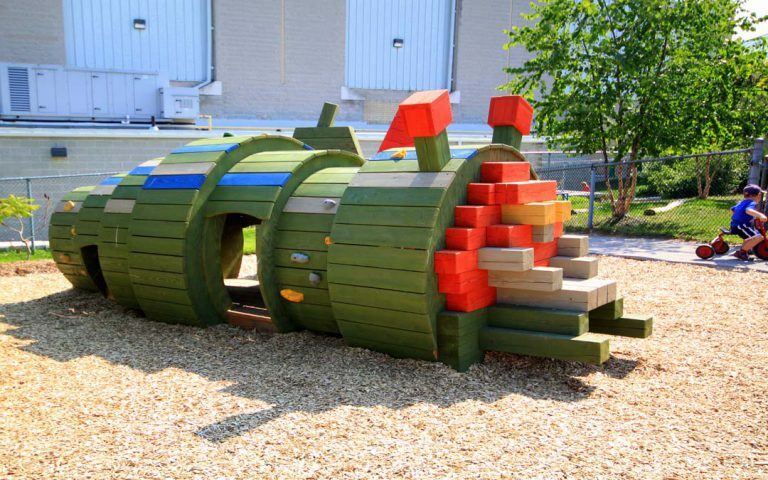 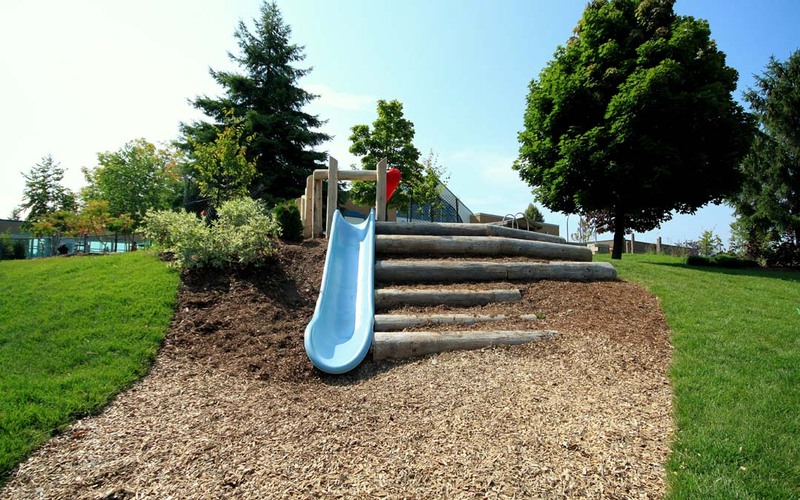 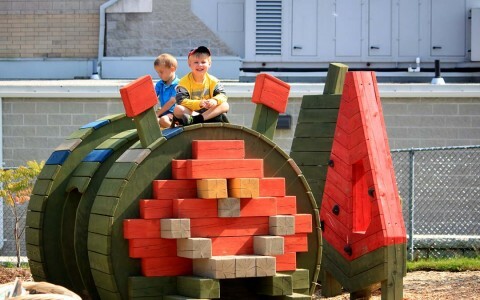 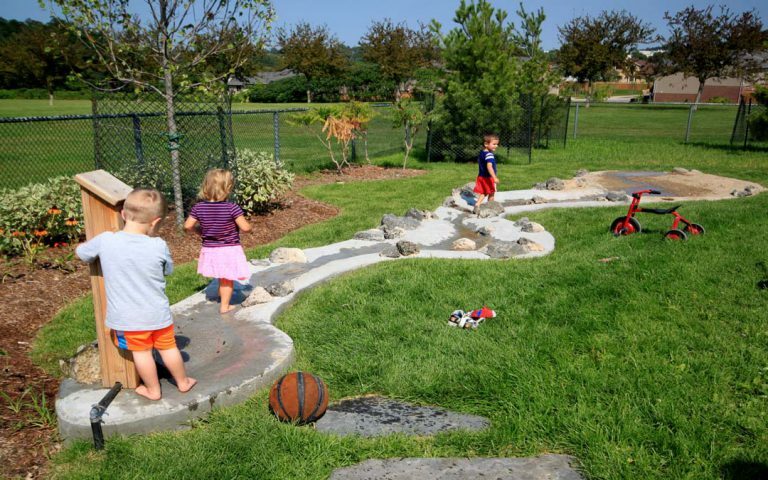 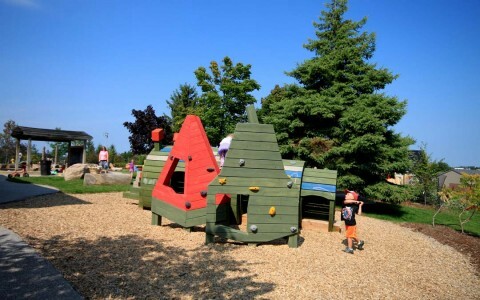 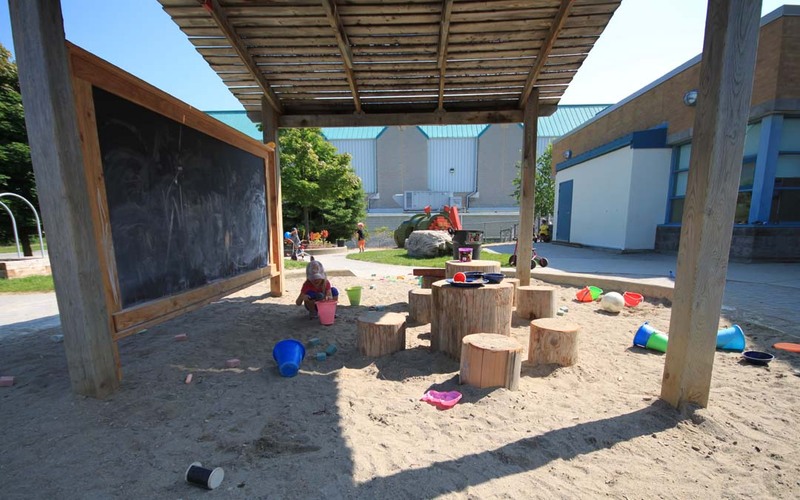 This inspired playground also includes imaginative play areas, lush vegetation, a hill slide, shaded sand play zone and chalkboard.